The city of Yuyao in Zhejiang province was hit by the region’s worst floods in over a century last week after Typhoon Fitow struck eastern China. Seventy percent of downtown Yuyao was under water, cutting off electricity, drinking water and food supplies and affecting over 800,000 people. Other cities in the region experienced record downpours including Ningbo, also hit by mudslides and power blackouts. Even Shanghai suffered its heaviest rains since 1961 according to Xinhua. In worst-hit Yuyao, 4,800 soldiers from the Nanjing military district were mobilised for relief work. There were reports of incidents of looting and some isolated clashes with relief supply workers as desperate inhabitants went without food and drinking water for days. City authorities have not yet released casualty figures, but the Hong Kong-based South China Morning Post reported at least ten people killed by the floods. 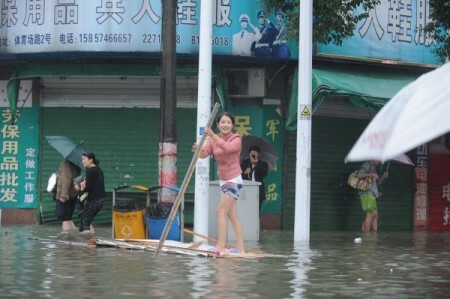 An axed CCTV news report said the scale of the flooding in Yuyao was due to poor official communication and failure to release water from the city’s four largest reservoirs before the typhoon struck. As the floodwaters receded mass protests erupted with angry citizens taking the local government to task over it lax response to the crisis. On Tuesday 15 October, thousands massed outside the government headquarters. Some reports put the crowd numbers at more than 10,000. Some protesters smashed the iconic “Serve the People” signboard (a quotation from Mao Zedong) adorning the building’s entrance. This act was filmed and spread widely on social media. 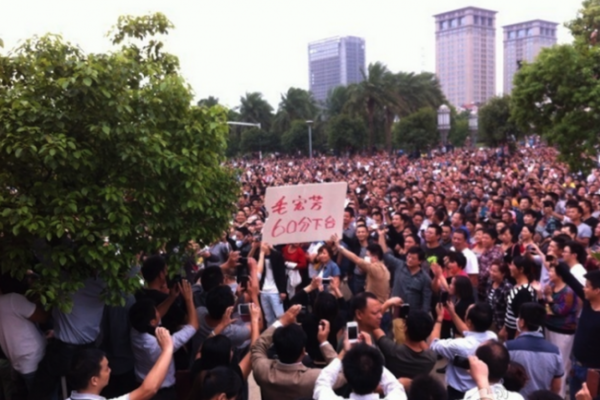 The crowds chanted for the resignation of the local Communist Party (CCP) secretary and mayor. Residents were angered especially by a report on state-run Ningbo television that misleadingly claimed “the people have gone back to their normal lives”. 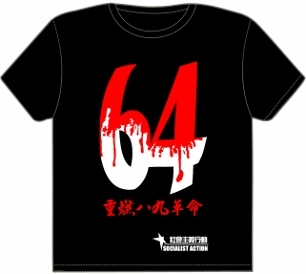 A television interview by the city’s party secretary Mao Hongfang, who awarded himself a “score of 60” for his humanitarian work, further inflamed tensions. A placard at Tuesday’s mass protest read “60 point Mao Hongfang, step down”.  Did the city mayor even get his pants wet during the flood relief effort?  Why didn’t the city government respond adequately during the disaster?  Release those arrested during the course of the day.  Apologize for misleading reports on state-run television of the state of the rescue effort.  Why no sign of the paramilitary police during the disaster, but when a vehicle from state-run TV was surrounded by a crowd unhappy with the reporting, 12 [police] vehicles arrived within 10 minutes? Blog postings reported clashes and arrests as a large contingent of riot police were sent to Yuyao to disperse the crowds. Photographs of young protesters with bleeding heads were spread on the internet. Others showed people being taken away by police. While no official statement has been made over the number of arrests, the main focus of the demonstrators later turned to demanding the release of those detained by police. 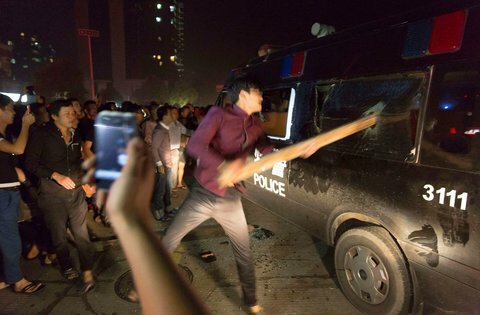 “We strongly condemn the shameless acts by the police and riot police for using any pretext to beat people,” said one microblog post. Other posts contrasted the total absence of the People’s Armed Police (PAP) during the relief operation, to their rapid appearance to quell the street protests. The Yuyao protests give a picture of the Chinese regime’s slide towards more repression under Xi Jinping and the fifth generation leaders. Nationally, hundreds have been arrested in a crackdown on social media and government critics. Workers’ protests and strikes are facing a harder stance from security forces, with arrests and criminal charges against strike leaders, as shown by the case of Wu Guijun in Shenzhen. The official response to events in Yuyao also shows the intense nervousness of CCP officialdom and their attempts to control the internet and new media. Officials themselves have taken to posting their response on microblogging sites such as Sina Weibo, while official censors remove embarrassing or critical posts. A harsh new law was introduced last month to crack down on online ‘rumours’. Under this law bloggers can be prosecuted with up to three years in prison for ‘false online posts’ viewed by more than 5,000 people, or shared more than 500 times. The law has been massively criticised as an attempt to lock down social media. In a parallel crackdown, several high-profile so-called ‘Big V’ bloggers have been arrested in recent months as a warning to others. This clearly had an effect in that blog posts about Yuyao have not proliferated on the same scale as with similar protest movements in the past. A local resident told the South China Morning Post that 57 people were arrested in Yuyao on Tuesday for sharing news about the protests on their microblogs. In Beijing, cartoonist Wang Liming was taken into custody for spreading a microblog post about a mother in Yuyao holding a baby who had starved to death. Meanwhile, top Zhejiang party official, Cai Qi, used his microblog account to tweet a warning against “magnifying” the protests, urging residents not to engage in “radical acts”. Cai said cadres at all levels of the Yuyao government had done “everything possible” for the relief efforts. This is clearly not the view of many Yuyao inhabitants. The dictatorship’s efforts to control social media and reduce political threats to its rule will inevitably backfire. A key trigger of the mass protests in Yuyao was the Ningbo television broadcast praising the city government’s handling of the crisis. By trying to stamp on the small ‘shoots’ of independent reporting via social media, and maximising government propaganda, the Chinese regime risks more Yuyaos in the coming period. This is underscored by the suppression of a report by CCTV, the national broadcaster, on its daily news show ‘Economics 30 minutes’. This blamed official bungling for the scale of last week’s disaster. “The four large reservoirs in Yuyao took no emergency measures to release water before Tyhoon Fitow landed, and this caused the big flood,” it said. The programme said a government warning had been issued too late and that all the city’s water pumps stopped working. But the programme was taken off the air and replaced with a discussion about wine. 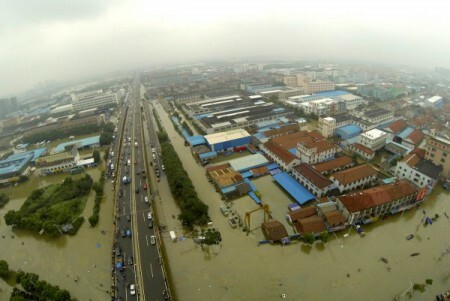 Extreme weather events like the severe flooding in Zhejiang are on the increase. Each of the past twelve years rank among the 14 warmest years worldwide since records began in the 19th century. Scientists warn several dangerous environmental ‘tipping points’ are imminent as carbon emissions which are the main cause of global warming increase, despite the world’s governments mouthing platitudes about the need to cut emissions. In September, the US state of Colorado was hit by what experts are calling a 1000-year flood event, with at least ten people killed. In India, over 600 died in floods during the June monsoon, with rainfall almost four times normal levels. Experts agree that climate change has increased the likelihood of such extreme weather phenomena. Globally, the economic losses from climate change have been estimated at US$1.2 trillion or 1.6 percent of the world’s GDP. Yet governments and the capitalist corporations they serve refuse to spend even a fraction of this on measures to avert the crisis. In China, climate change will exacerbate the already serious water crisis, whereby the north of the country suffers acute water scarcity while the south is prone to flooding and typhoons. China is the world’s biggest polluter and emitter of greenhouse gases which cause the earth’s atmosphere to heat up and sea levels to rise. 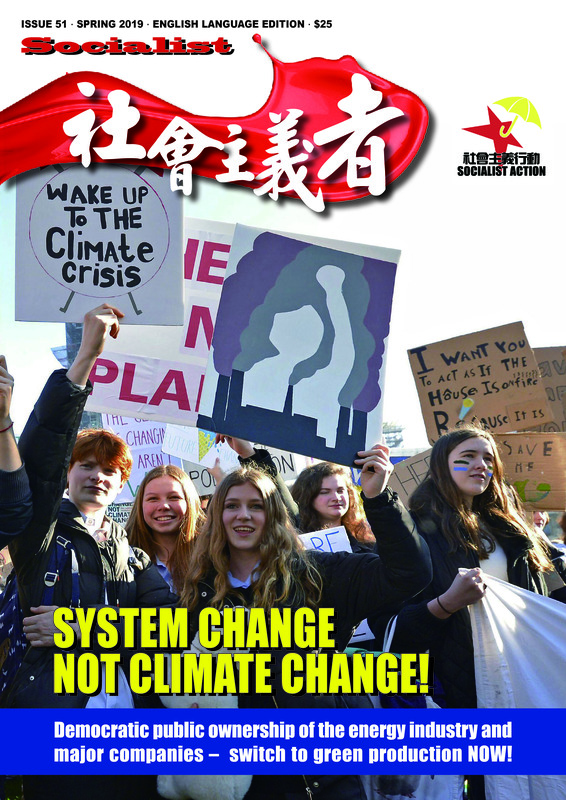 Just as socialists fight against dictatorship and repression, for free speech and democratic rights, we also fight for democratic public ownership and control of the economic powerhouses that drive global warming. This means the energy, transportation, mining, manufacturing, construction and banking sectors among others, should be run for society’s benefit and in balance with our precious natural environment rather than to meet the quarter-to-quarter profit demands of the stock market speculators. Based upon a democratic economic plan to fully tap the potential of renewable energy and to create millions of ‘green’ jobs, genuine socialism is the only way to save the planet.